Ayesha Parveen hails from Kawardha. Her father is a driver and drives Jeeps. Her mother is a housewife. She has a younger sister and two brothers. The family is sustaining, but the condition is not good enough to afford the education of medical or engineering. 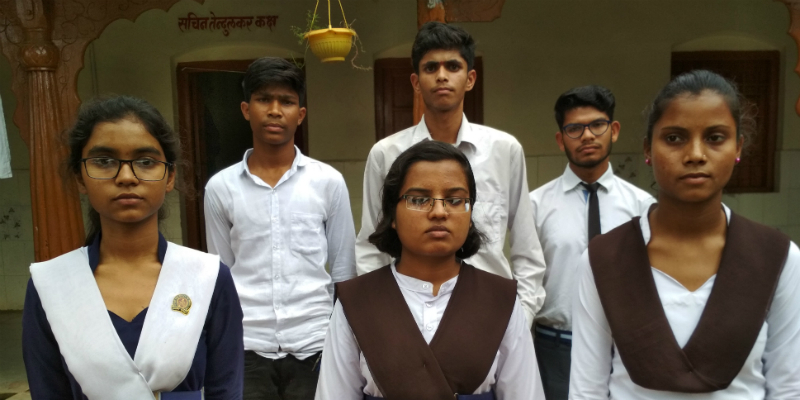 Ayesha says that if the government had not started residential coaching here, considering the economic condition of the family, she would have to get a job somewhere after her 12th standard and her dream of becoming a doctor would have remained incomplete. When asked why she wants to become a doctor, Ayesha responded that in her childhood, the poor health of her mother kept deteriorating and the family was distraught. The extra burden on treatment was taking its toll on the budget of their groceries. That is when she had made up her mind that when she grows up, she will become nothing else but a doctor. She was studying hard in her school. One day she discovered that the Chhattisgarh government has opened a residential coaching in Kawardha, which is going to hold an entrance examination for its admissions. With the help of her teachers, Ayesha filled the form and sat for the exam. She had worked hard and therefore the result was good. She had succeeded. Now she is studying here and staying here too. If she doesn’t understand something, she seeks help from her teachers and associates. With the help of the faculty members, she is trying to do better and is confident that if she studies well, she will pass the exam with a good rank. This will get her admission in a good college and she will be able to become a doctor. Warden Lakhanlal Warte says that better accommodation arrangements have been made for the children in the hostel. He himself makes sure that the students are taken good care of and nutritious food is provided to the children. Special attention should be given to timing while giving exams so that the students of JEE and NEET can bring better ranks in the exam. Himanshu, director of Lecturer and Strength Classes, residential coaching operated in the Government High School of Kachahri Para, says that the government is planning how to make the children here ready for JEE and NEET. Demo classes are arranged here for this purpose. He himself takes chemistry classes. “We gave demos and the kids liked it. We have achieved whatever we have from the feedback that children gave to us. Here, we are working towards making the basics of the students stronger. Along with this, they are working on their English language so that they do not face any communication problems when they leave the coaching and go ahead for studies and jobs.” He says. The morning session runs till 12 noon. Then the evening classes commence. One to one and a half months were dedicated to only encourage the students to study. They were told about the benefits of JEE and NEET. Himanshu says that the students have come from different cities. If they come from Metro cities, then they face problems staying there in the beginning, but seeing the enthusiasm of the children he feels really good. We will make sure that more and more children are selected for JEE.